Here’s one way to stop the traffic speeding down Twatling Road, Lickey. . . 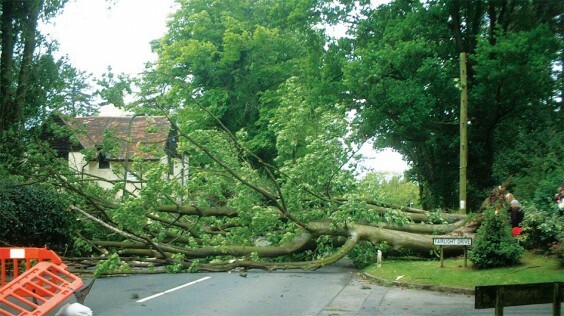 This picture of a tree fall was taken by Village reader Dan Patey, who says his wife had a lucky escape because she had only just walked past the spot before the tree fell. It took up to four hours to reopen the road.